Good news for the boys field at the 2017 FLYRA Middle School XC State Championships. 17 of the top 20 runners from 2016 graduated. Belen Jesuit's Adam Magoulas finished 10th last year and would have returned for his final middle school state championship, but the varsity squad was calling, and the Wolverines are in the hunt for a 3A title. Defending team champion, Tavares Middle School, which has been running under the Red Sea Running Club mantra for most of the season returns two of it's top three runners in 7th graders Matthew Raucci and Riley Novack. Raucci has finished 4th or better in all seven of his races this season including a new PR of 10:37.90 and runner-up finish at the Disney Cross Country Classic. Novak has one upped his teammate with no performance worse than third place this middle school season, but a slightly slower PR of 10:41.65. 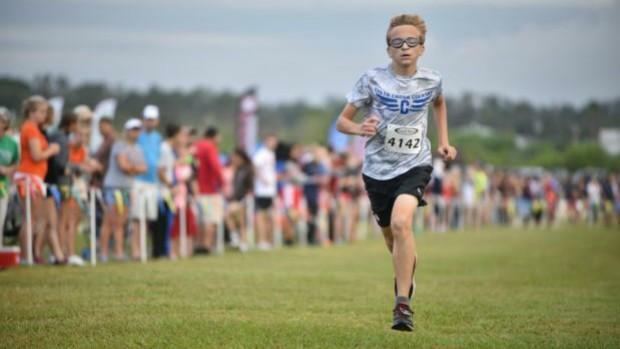 One of the favorites will be Tristan McWilliam of Nolan Middle School in Bradenton, McWilliam won the FLRunners.com Invitational middle school race in 10:22.81 and has been consistently around that team in his three major wins this season. Rheinhardt Harrison (pictured above) of the St. John's Striders is another athlete to watch. Like McWilliams he has won all of his races this season including the Katie Caples Invitational, Florida Horse Park Invitational, and North Florida MS Qualifier. His times of 10:20.00, 10:25.00, and 10:23.00 shows that he can perform well on big stages. Harrison's toughest competition at Katie Caples came from Elite Runner Fort Myer's Patrick Murphy who was runner-up that day. Murphy has had great success on Holloway with two wins already this year. He opened up his 2017 season with a win at the Jim Ryun Invitational and then followed it with a win at FLR18 in a new personal best time of 10:41.46. 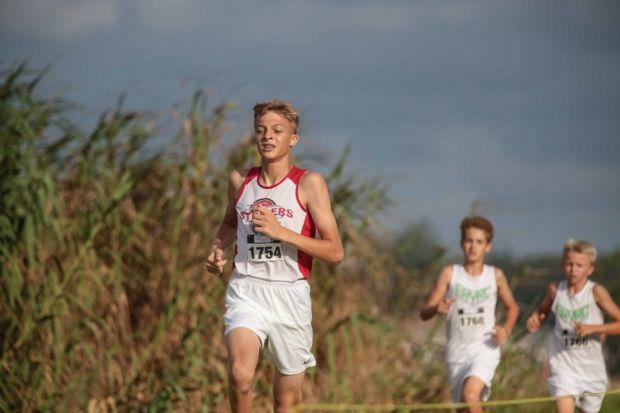 Trey Matschner of Indian Trails Middle School in Winter Springs won the open race last year and is coming off of a win and new PR of 10:38.63 from the Gliders Cross Country Invitational. The team battle starts with defending champion Tavares and runner-up Belen Jesuit. Can they repeat their success of 2017? Belen won the middle school team title at FLRunners by a large amount and Tavares has been a consistent team all season long. The Wolverines will have Tommy Duque taking over for Magoulas in the top part of their line up. Much like the girls, the Citrus Park Christian boys are also very young and talented. Thomas McCleod and Braxton Legg went 1-2 at the FLYRA Nature Coast qualifier to help the Eagles win the team title and will also be in the mix. One thing to note, there are no team trophies for club teams. That doesn't fare well for the likes of the Elite Runner Fort Myers, Miami Elite, & Hillsborough Harriers. Elite Runner won the Katie Caples Invitational and was second at FLR18 just to name a few. These three programs could definitely contend with any team on the course for the top prize.